Treadmill on Sale, Looking for where to buy the best Treadmill for your home or commercial gym? Ntaifitness® is your one-stop treadmill depot! Visit a fitness equipment store near you or shop online. 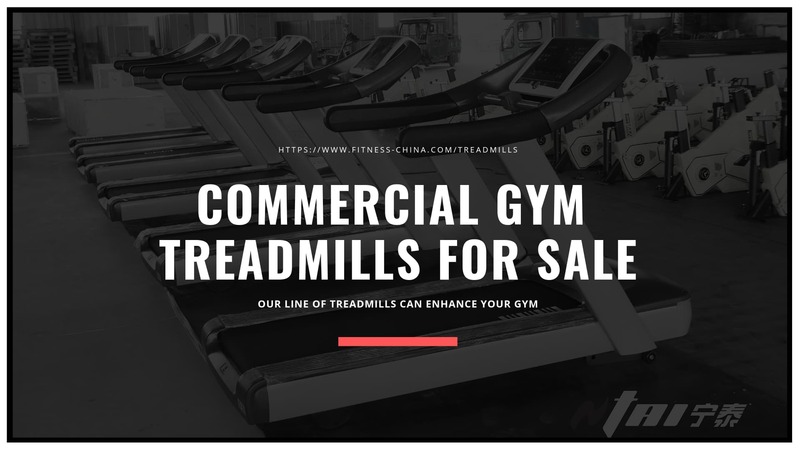 We are Commercial treadmill manufacturers, treadmill suppliers in China, which can custom treadmills and wholesale treadmills. Our products include folding treadmills, non-folding treadmills, commercial treadmills, etc. Treadmill (often referred to as running machine) is a kind of cardio equipment used for running, the treadmill is a type of indoor exercise machine that allows a person to walk, run, or jog in place. Most are electric, but some can be manual; both sorts operate with a circular belt that loops around a stationary base, wholesale treadmills from treadmill manufacturers in China. Buy top rated commercial treadmills, They are popular in gyms and sports clubs, and can also be purchased by individuals for home use. Most models come with a variety of features including speed and incline options such that users can customize their workout experience pretty easily. Those who prefer walking or running outdoors face inclement weather or other conditions that make the workout difficult at times. The commercial treadmills offer an alternative place to do your normal walk or run without worry about the weather or your safety in poor conditions. You are still able to exercise in a similar manner, whether your goal is general fitness or training for a race. Indoor exercise with a commercial cardio treadmill online gives you a consistent, controlled environment. So the truth is you are getting only 12 months return to base warranty; not in-home labor warranty. The cheaper treadmills have a very low weight capacity. The motor, belt, deck, rollers, bearings, and electronics are constantly struggling to keep up with the strain, especially if the user is overweight. Generally, inferior quality cheaper treadmills may not be sturdy, and they may not provide a smooth, comfortable workout to protect your joints. Cheaper inferior quality Treadmills require you to constantly adjust the running belt as it tends to lose tension. These cheap treadmills need to be constantly lubricated with silicone spray and require more electricity to operate. These inferior quality Treadmills are not meant to last long and designed for short-term use. This is to lure you into buying a new one every year. In case of warranty, with a cheap treadmill, you will need to send it to the supplier and have it repaired and then sent back to you. You will need to pay for these shipping expenses out of your own pocket. Shipping could cost you over $300 on top of the repair cost. So you could be out of pocket more than $600. Similarly as with all activity consistency is the appropriate response. An out and out exercise design may sound extraordinary beginning, yet can frequently bring about wear out. You get worn out and sore, lose inspiration and stop working out. Here are the details of the NtaiFitness best commercial treadmills. Motorized treadmills are by far the most common, and are seen in most gyms and formal workout rooms. These are electrically powered and tend to be heavier and less likely to be portable, though most people agree that they offer a superior exercise experience. On a motorized treadmill, the motor, turning on its own power beneath the runner’s feet, operates the belt. The speed at which it turns is adjustable, thereby allowing a person to walk, run or jog at a controlled speed. Slowing down and speeding up can only be done with the help of the control console. Some of the simplest examples are “manual” which means that they are powered entirely by the runner’s energy. These tend to be light, inexpensive, and can usually be folded away to slide under a bed or into a closet. The running belt wraps around rollers inside a raised deck. As a person walks or runs on the belt, his or her weight provides the friction needed for a belt to turn over the rollers in time with the user’s stride. Side rails provide safety support and the front of the machine is a raised console that supports the side rails and walking platform. It isn’t usually possible to set speed preferences on these models, as the belt will move only as fast as the runner’s feet do. Motorized models generally come with an electronic heart-rate monitor so that the exerciser can see if he or she is getting the desired workout. Some of these clip to the runner’s ear, or wrap around the chest or wrist. Some high-quality chest-wrap monitors are wireless and provide alarms to let the jogger know when his or her heart rate falls or rises outside the target range. In addition, some of the most advanced machines will let users set a “target” heart rate, they will either speed or slow the belt to keep the workout in range. Below are commercial gym treadmill pictures, which we made for our customers for your reference. If you want to get more about treadmill pictures and treadmill details, please contact us, we will send more pictures for your reference, we warmly welcome you to visit our folding treadmill manufacturers china and get any order from any countries for partnership! Find the best quality, precise and durable best commercial treadmill here with NTAIFITNESS which is one of the leading manufacturers and suppliers in China. We've got all of our treadmills manufactured under strict quality control and management system in our factory. Please rest assured to buy. Click an option above to see gear specs, pictures, customer ratings, and more. Buy commercial treadmill Superfit-5000 from NtaiFitness, Buy Commercial Treadmill with Low Price From Commercial Treadmill Manufacturers in China +86-0534-5088836, +86-0534-5088839.